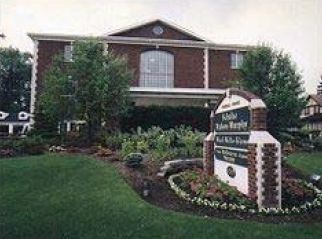 Vicchiarelli Funeral Home currently operates out of the main facility at 5252 Mayfield Rd, Lyndhurst, There is also the availability of facilities throughout the Greater Cleveland/Akron areas to serve families who have come to appreciate the service, sincerity and quality of a funeral from Vicchiarelli Funeral Homes. Today, the funeral homes offer complete services for traditional funerals, funerals followed by cremation, graveside services, shipping arrangements and direct cremations with memorial services. The directors are well-trained professionals who consider each funeral an individual tribute to the life of the deceased, and the relationship that we establish allows us to serve individuals of all faiths, ethnic backgrounds and traditional and non-traditional family life styles. Each funeral service we are privileged to handle becomes a personalized service to honor the deceased and a lasting memory for the family, relatives and friends. We are available 24 hours a day to answer any questions you might have regarding our services. We offer after the funeral visitation and services, and a beautiful community room for groups and clubs to hold the meetings or gatherings. We offer an extended display of caskets, vaults and all merchandise related to the funeral business directly in our Lyndhurst facility. This ability for families to arrange all aspects of the services they select right in one location has been greatly appreciated. We value the trust and confidence families have placed in us in the past, and our pledge to you is to reward that trust by providing an exceptional facility and services to match in your time of need. Our family owned and operated funeral home has served many families over the years. We have made many lasting friendships, and look forward to doing the same with you and your family.